For all the press that surrounded this book, my expectations were suitably high. It was promoted as a Regency set Mr and Mrs Smith and I found that premise very intriguing as it seemed fresh and would make for a thrillingly romantic story. And while it certainly had it’s moments and was never too predictable, I still felt like it fell short of my expectations. I loved the whole idea of a married couple who are both secretly spies keeping secrets from each other. Their relationship at the start of the book was passionate even though there were some issues revolving Sophia’s problems with having children. It already felt like they were in love with each other at the start of the book which to me kind of makes the whole plot a bit pointless. I would have liked it is theirs did start as a cold arranged marriage. But I’ll put this down to personal preference. Their main issue is letting each other in and opening their real selves which was nicely done. I also loved Adrian’s character-he’s strong, protective and adorably clueless when it comes to dealing with his wife. Sophia didn’t stand out much to me although I did love her vulnerability about her ability to have children. This is a romance for those who love a little more adventure and excitement in their books. It’s fast paced and the action scenes are very well written. It doesn’t get boring and it was good fun reading them trying to solve the murder mystery while getting to know each other all over again. I did feel like the great action scenes were at the expense of the romance which wasn’t as developed as it could have been. One minute they don’t like each other and next second they’re all over each other with no prelude or explanation. It’s like whattt? Still, this was a very entertaining read and great for those looking for more variety in the romance genre. If you like your books fast paced, unpredictable and more plot driven, then this is the book for you! Verdict: Recommended. Fresh and fun! Yet another great 2 in 1 collection by Mary Balogh. These two classic Christmas romances will warm your heart-in any season! To be honest, I wasn’t that fussed about reading romances set in Christmas time and I didn’t think there would be anything special that the Christmas setting could bring. But wow, did Mary Balogh change my mind! She makes the reader believe in the magic and spirit of Christmas and both stories need Christmas to end how they did. The second story was my favorite; a jilted hero seeks revenge on the long ago fiance who jilted him! The hero is a Darcy-type: dark, brooding, aloof which the heroine mistakes for being cold and cruel, hence why she ran away from him. Of course, things are more than they appear and I loved how the hero is the one who was heartbroken by the broken engagement-this made it very unique in that sense. I loved the chemistry as well and how our heroine realizes her stupidity in choosing a rake over a strong, stable character. The addiction of the kids in the story made it that much more emotional as well. This is a fabulous set of books! I read it all within 3 days, it was too addictive. This is perfect for any season and a great pick me up. If you love Christmas, second chance romances and romances with kids, this book is for you! Those readers who loved her old classics can now enjoy them once more in a great set while those new readers can see what made Balogh such a star in the romance world. Always love Anna Campbell’s dark, intensely riveting romances! Sadly, this isn’t a favourite of mine mainly due to the unoriginal premise and the lack of a addictive plotline. This one, while not one of her best still has all the hallmarks of a classic Anna Campbell romance. But because it was Anna Campbell, I gave it a shot and thought she would be able to make it fresh and entertaining with a couple of new twists thrown in there. Sadly, even her brilliant writing couldn’t make up for a sorely lacking plot and I had a very hard time suspending my disbelief that Sidonie could even consider selling her body in the first place. Surely there could have been another way or she could have gone to ask if there could be another bargain to make. Not just throw herself (literally) into the lion’s den and all to save a sister who really wasn’t worth saving in my opinion. She could simply have grabbed her sister and run! The story is supposed to based of Beauty and the Beast but at least with that fairytale, Belle didn’t just decide the only thing she had to give was her body and Sidonie went in without a fight. Just seemed too cliche to me. And the characters were standard cutout romance archetypes-the hero was your typical all bark, no bite guy with a secret heart of gold (that’s obvious from the very start) and Sidonie is just a little too perfect with her sense of honor to a sister that really doesn’t treat her well at all. There weren’t many other characters beside the two of them so it did drag a little at parts. The romance was alright but not particularly hooking or exciting. The tension wasn’t bad though, and I did enjoy how Sidonie resisted giving into Jonas for so long. I still love the way Anna writes and that more than anything kept me reading through to the end. All in all, not a standout from Anna but still a passable read. If you want a better update of Beauty and the Beast, try When Beauty Tamed the Beast by Eloisa James. 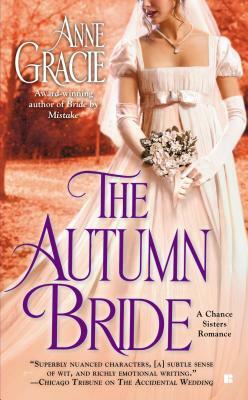 Anna Randol is a great new star in historical romance and she continues to hold her ground with her sophomore novel and her first in her brand new series! No exciting setting this time round, just your standard Regency England setting but Anna makes it intriguing with her thrilling tale of an ex spy looking for a fresh start and a police officer looking to solve a murder case. However, Anna sure knows how to write a great adventure romance! This book has it all, action, a mystery, suspense, humor and most importantly a romance to swoon for! I also loved the look into the underbelly of London society-who knew how dark it really was? The pace was great and I didn’t feel like it dragged at all. The mystery aspect was well thought out, if a bit predictable but hey, this is a romance not a mystery novel! Was very fun to read nevertheless. Verdict: Another great romance from a rising star! Highly recommended! I usually adore Eloisa’s novels–that clever and hilarious wit, the unpredictable and original storylines, but I have to say that among the so far brilliant Fairy Tale adaptions series, this one falls quite short and did not live up to expectations and I was left quite confused about what happened here. The hero wasn’t as dashing as one usually expects and the plot just kind of fell… flat about halfway through. Nothing wrong with the heroine-everyone loves a wallflower who has a core of hidden strength. And poor Theo has to put up with alot, not being the usual stunning, flawless heroine that’s as common as dances in these novels. We can all relate to her not being the model of perfection one normally reads about, but her personality makes up for it–she’s bold, funny and wonderfully caring, you can’t help but root for her! It’s just too bad James, our hero, really just wasn’t good enough for her. He up and disappears from her life for nearly seven years in the middle of the book and doesn’t even bother trying to win her love until the seven years is up! We know from the start he was forced to marry her for her money and of course he ends up falling for her (in the space of just one day-REALLY?) and things are great until she realizes what she thinks he wanted from her. They predictably fight and she tells him to basically get the hell out of life. Which he does. For SEVEN whole years. And he becomes a pirate, of all things. I can’t help feeling the whole situation would have been solved in a minute if he only had the guts to tell her he loved her from the start! Or even just sent her a letter! And when the core hinge on which the whole plot is based on is that flimsy, you really can’t find much to enjoy without suspending your belief that this went on for so long. Of course Eloisa’s signature witty style was there and even though the book was enjoyable to read in that alot of scenes were hilarious, it doesn’t quite make for the fact that the plot just kinda… well, disappointed. For a big chunk of time in the middle, the hero and heroine aren’t even on the same continent! And when they finally do meet, so much for groveling. Won’t give away much but honestly, if it was that easy for him to be forgiven they should have done that 150+ pages ago! I tried to like this book, I really did. Only thing that kept me reading was the writing. I would still recommend Eloisa James because the rest of this series was amazing! I appreciate the fact she tried to do something different but she could have found a better reason to separate them for so long.